I’ve talked a few times about the X-One Xmos based console so I thought better put up a schematic to show how it all goes together. A Xmos XC-2 is found at the heart of the console with the rest of the circuit providing a R-2R video DAC, PWM audio and SD Card interface. Ethernet is provided by the XC-2 card its self. The software kernel is Yvo’s VDP video engine. As well as the Xmos processor the SparkFun development board also features a USB interface based on FTDI FT232, external Flash EEPROM and a JTAG header. I/O is provided by 32 I/O pins brought out to pin headers next to a small prototyping area. Checking out its schematic, it looks like it can be powered form both a wall adapter and its USB port. The USB interface is to support a UART over USB and can’t be used to directly program the processor. Instead a 20-pin JTAG interface is provided. This looks to be compatible with Xmos’s own XK-1 JTAG interface and therefore Xmos new XTAG2. I’m hoping my XC-2 JTAG adapter will work with it as well. Its competitively price at $50 or ~£30 but you still need to provide a JTAG adapter but these are available for $50. 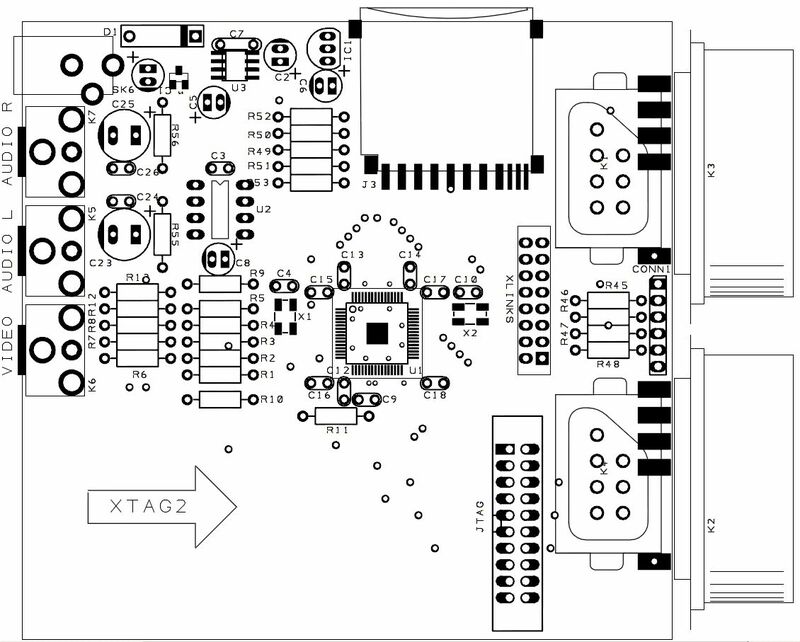 The only criticism I would make is I would liked to see the on board USB used to provide a programming (JTAG) interface as Xmos did with their XC-5 board but that said I’m hoping to get one soon and use it in my X-One console with Yvo’s VDP VGA video driver. You are currently browsing the archives for the X-One category.